Thank you for praying for us while we were visiting Calvary Chapel Lapu! 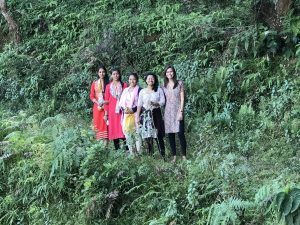 Our 4 day trip outside of Kathmandu started with 12 hours of driving and then a 6 hour hike straight uphill to the top of the mountain where we were able to visit Pastor Raju (one of our graduates), in Lapu village. 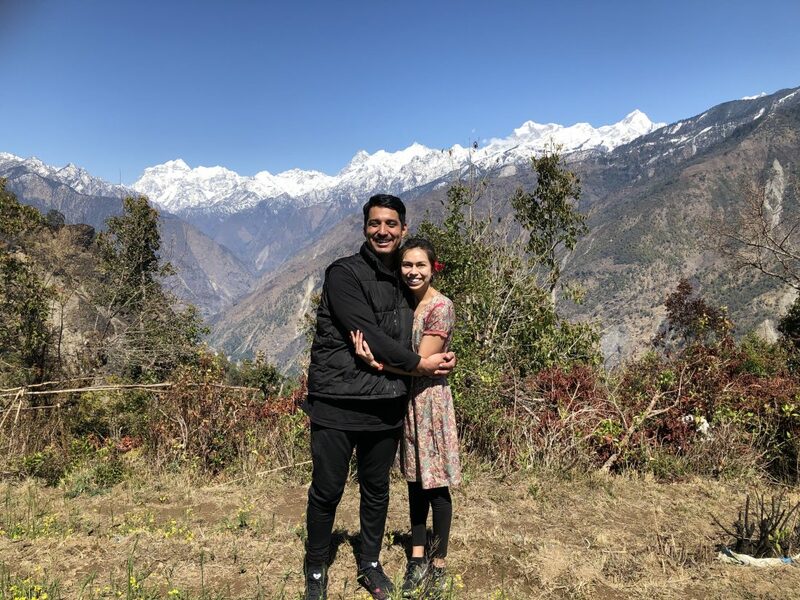 The scenery was beautiful and we were very excited to see Raju in his home where he has been faithfully serving. Our team was welcomed as a part of Calvary Chapel Lapu as we attended Saturday morning service, followed by a woman’s fellowship, and a small children’s ministry during a Q&A session. 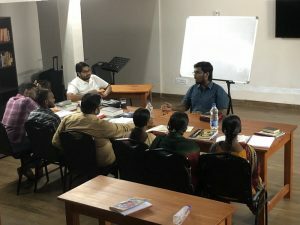 The church fellowship continues to grow and the people who are attending Calvary Chapel Lapu are beginning to understand the Bible as Raju teaches verse by verse. 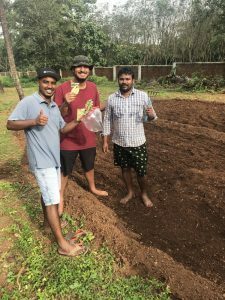 Raju has been helping out people in his community with their farming or fishing, as well as discipling and sharing the gospel. 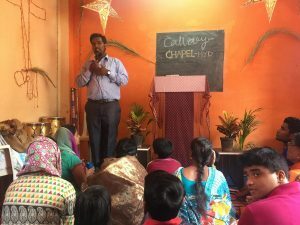 It has been a huge blessing to see the fruit in Raju’s life as a Bible College student to seeing him now pastoring a church and ministering to the people up in his remote village. 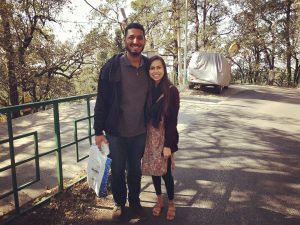 Being able to visit for ourselves and to see Raju pastor a Calvary church plant was so encouraging for us. We love being able to visit where our students are from, it gives us perspective on how far they travel to come to study the Bible and what they endure to continue in their labor for the Lord. 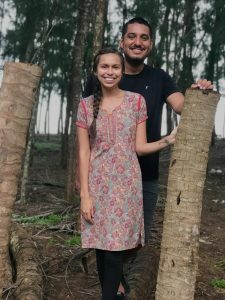 Please pray for Pastor Raju as he continues to serve in Lapu Village, and for him to be faithful to do what God has called him to do. We have been able to visit with Pastor Rabi and his home fellowship! Rabi graduated from Bible College two years ago and has been fulfilling his desire to teach God’s Word. Pastor Rabi and his wife, Mahima, are newlyweds and began their Bible study in their living room. Their family, along with many people from their community, has been attending this growing church service at Calvary Chapel Baniyatar! 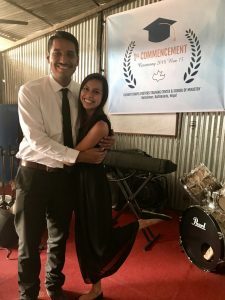 Along with his other responsibilities at the Bible College, Pastor Rabi has been faithful and committed to the start of this new Calvary church plant. Please pray for him and Mahima as they reach out to the people in their neighborhood as well as their family. Pastor Rabi has also been serving with us at Calvary Chapel Pastor’s Training Center & School of Ministry. He teaches twice a week through the Gospel of Luke, and has been helping a lot with translating some classes from English to Nepali. 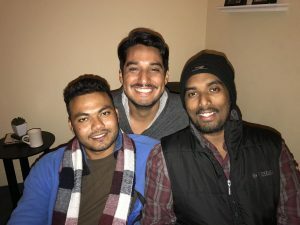 From when Rabi was a student in Bible College, he would host Bible studies during the semester breaks, and disciple many of his friends here in Nepal and some friends who had gone to work abroad. His calm personality turns to a bold and courageous one when it comes to preaching Jesus to anyone who would hear. Rabi is also going to train the students in weekly evangelism through our community and help them prepare for our semester outreach. Most recently, we took a trip to visit with Pastor Milan at Calvary Chapel Dumre. We enjoyed our time spent with our brother and his family, and being able to see how the church fellowship is doing. We brought a group of students from the Bible College who are from the same district as Milan so they could see their families as well as seeing a Calvary Chapel church plant in their hometown. During our time in Dumre, we hosted a small youth fellowship one afternoon, attended church service at CC Dumre and Milan’s uncle’s church, and had family time at Milan’s home. It was encouraging for us to see our brother serving wholeheartedly, and watching him be faithful to the work of the ministry. He has been pouring into the lives that have been placed in front of him and has demonstrated a life surrendered to Christ as he has been serving in his village. Please pray for Milan who has been sharing the gospel in his community and discipling the youth. Please also pray for him as he has been managing the remaining construction work of the church building. This past week, Pastor Bond, Heather and Breanna have come to visit! 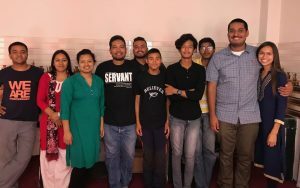 While they are here, we’ve invited the pastors of our students who attend the Bible College and also the Calvary Chapel pastors who have graduated and started church plants like Pastor Raju, Pastor Rabi & Pastor Milan. During our three-day conference, we hosted 9 visiting pastors at the college campus, taught through 2 Timothy and had a time of Q&A about Calvary. It was a great time of glorifying God in the praise reports of what has been going on in each others lives. 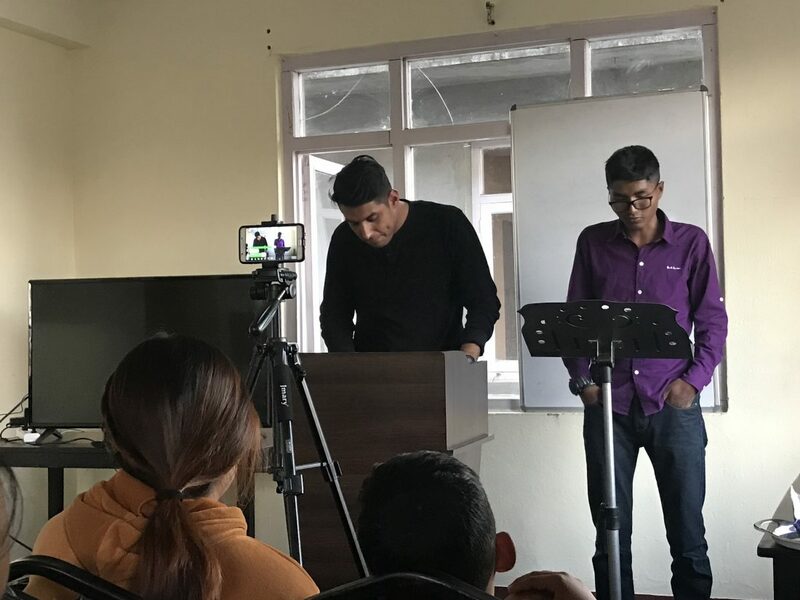 Among the attendees was Pastor Majiya, who shared an update with us about his work in the east side of Nepal of beginning Calvary Chapel Rangeli. While Majiya was a student, he sacrificed two years apart from his wife and two small kids to study God’s word. It has only been four months since he graduated and he has been traveling into Rangeli which is one hour on his bicycle to teach the bible in that area. Together with raising a family, sharing the gospel and teaching God’s word, he is working daily 12 hour shifts in an oil making factory to support his family. He makes the equivalent of seven dollars and fifty cents per day. It’s our heart to help Majiya and take away part of the financial burden so that he may focus more on his family and ministry. This will allow him to be about preaching the gospel in the midst of unreached people groups. Majiya wants to move into Rangeli so that he and his family will be missionaries in this new village. We are beyond grateful to be a part of this work of training up future pastors and leaders! Please continue to pray for each of these men who have listened and obeyed God’s call on their lives. Each visit to the three Calvary church plants has been so encouraging and a blessing to be a part of this amazing work! CC Pastor’s Training Center & SOM has been going well, we are thankful for all who are on staff and serve with us. For our team to be like-minded, have the same love, being of one accord, and of one mind. Pastor Raju’s parents who are practicing Hindus and don’t fully understand why Raju is pastoring a church. He has been trying to be a good witness for Jesus, but can feel lonely at times when even his family isn’t the most supportive. 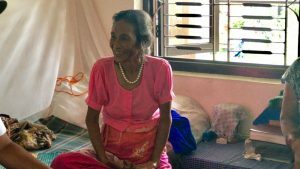 Pastor Ravi’s mom is a new born again Christian, but his father is not. Also, please pray for Ravi’s mom who has diabetes and has been struggling with her health. Please pray for Pastor Majiya and the God would provide for him & his family financially. God taught us so much in the year of 2018 and reminded us of the great truth that He is Jehovah-Jireh, the Lord our Provider, spiritually and physically. Why worry about the things in this life, when we are supposed to be focused on Him, to move forward in our calling and seek His kingdom! We pray that we would be faithful in the work that God has called us to and faithfully update all of you who partner with us in the gospel. We returned to the States with anticipation to see our family and also church family. Our time State-side was a blessing to be able to share about the fruit of what God has done in Nepal & South Asia and encourage those who have been partakers in the ministry here. It was exciting to see some of your eyes light up each time we would say “you helped us do this”. Truly every single moment on the mission field, you that pray and give are helping reach this area of the world. We couldn’t say thank you enough to all of you who helped put together and came to our missions gathering last month. We were able to celebrate our 5th wedding anniversary on the same day as our missions gathering with you was definitely a day to remember! It was more encouragement than we had ever expected. We felt so honored to share all of the amazing things that the Lord has done! It has been 5 years that we have been serving in Nepal. We moved here when we were first married at the age of 21. This country has become like home, especially since we have so many loved ones here. We have some that have become like family. We know each others birthdays, check on each other when we are sick, and even better we all serve the Lord together. Our third official semester at Calvary Chapel Pastors Training Center & School of Ministry began January 28th with 20 students! The staff has been working together gathering students from almost every side of Nepal. We always believe that if God brings the students He will supply the finances to operate the school. From the start of this new school, it has been incredible to see how God has continually provided for all of the needs to have this college up and running. Over the holiday, the college moved into a new building that is able to house more students, beds were purchased, fresh paint was put on the walls, and soon enough students were moving in again for the new semester! 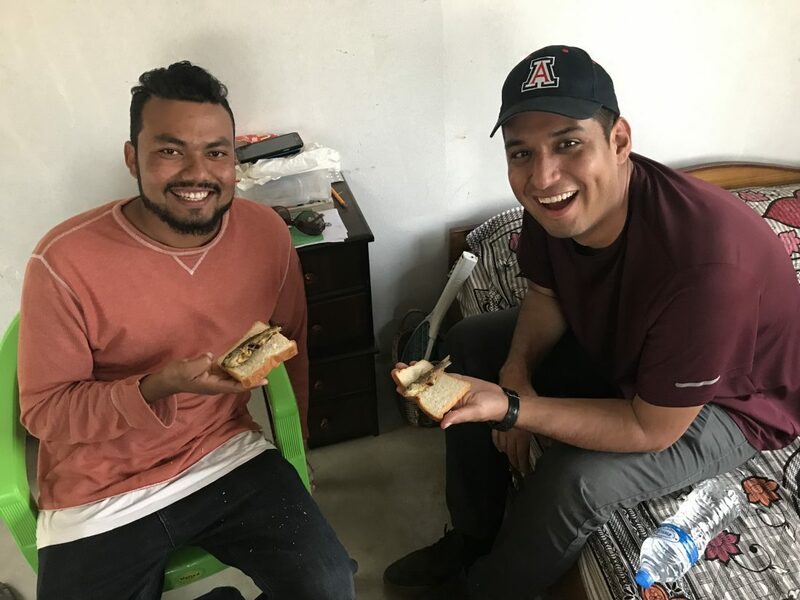 Since arriving in Nepal, we jumped into the routine of helping manage a Bible College and adjusted to the Nepali life. That’s really something we pray when arriving. Time goes by so fast and we want to do as much as we can. Funny as it sounds it takes time to get used to the time zone, the temperature drop, get back into speaking Nepali, the odd smells, and who could forget driving a motorcycle through Nepali traffic. Aaron has been teaching through Acts and teaches through 1 John for our mid-week Bible study. Jena began to teach English classes 4 times a week to the students. We are excited getting to know the students and spending more and more time with them even outside the classroom. To a Nepali, time spent together is sometimes worth more than anything you could give them. – Thankful to have spent Christmas with our family in the States! 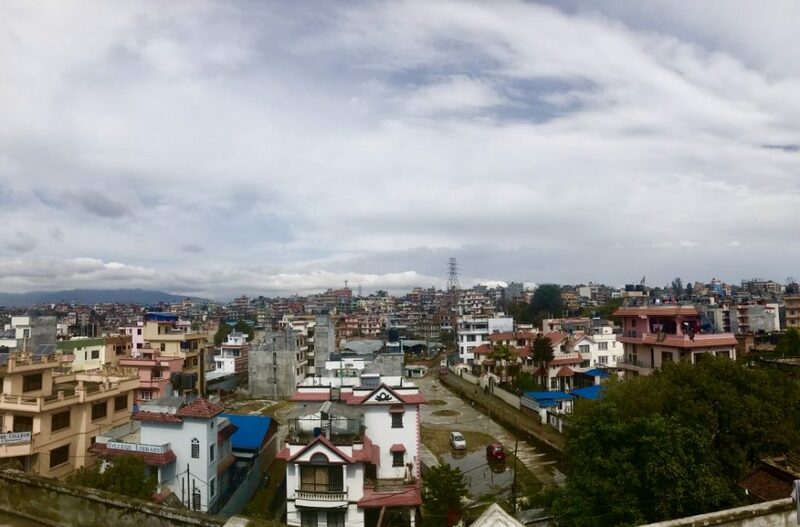 – Excited to be back in Nepal and working with the new CC Pastors Training Center & School of Ministry. 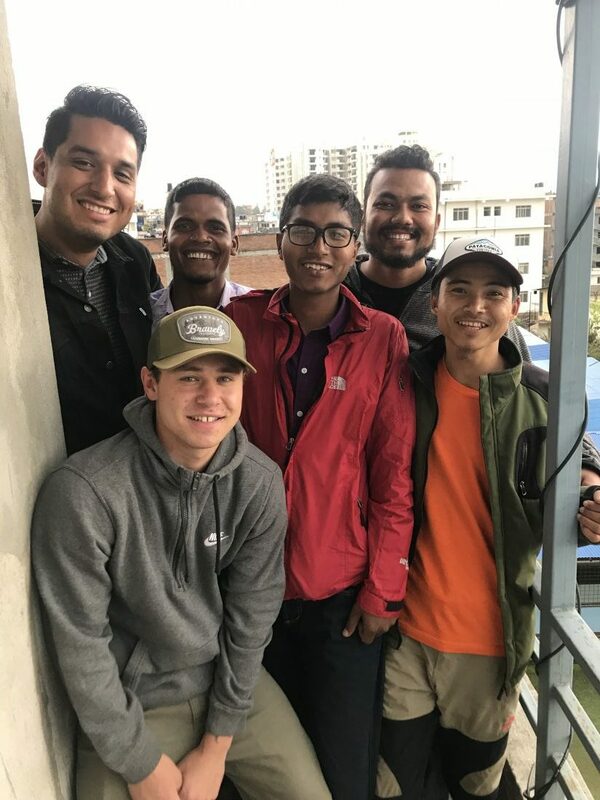 – All of the students have traveled from many different places around Nepal and are eager to study His Word. – For our team to be like-minded, have the same love, being of one accord, and of one mind. – That God would provide financially for us and for the ministry in Nepal & South Asia. – For those divine appointments to share the Gospel with people. 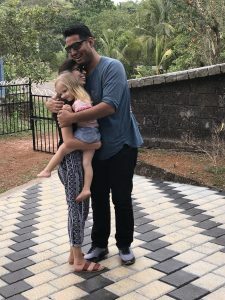 – We are traveling to a remote village to visit the new church plant, Calvary Chapel Lapu, on February 28th – March 4th, and visit with Pastor Raju who graduated from the Calvary Chapel Pastors Training Center with us and has been teaching a group of believers in his hometown mountain area. Please pray we would be a great encouragement and a blessing to them. We are so amazed at how God has filled 2018 with many incredible highlights! Here are ten that we hope would be used to glorify the Lord we serve, and that you would be encouraged on how the harvest is ripe for laboring! Flood Relief — In South Asia during this past monsoon season, many areas were flooded and landslides destroyed several homes due to the heavy rain. We were able to serve alongside our students, going out to these affected areas to comfort those who are hurting during this time. The team was also able to distribute care packages and share the gospel in these communities. 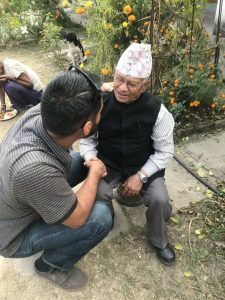 Leprosy Colony – We’ve been blessed to have teams come visit our friends at the leprosy colony in Nepal to serve them and visit with them. For the past few years of forming relationships and spending time in this colony, we have been able to learn more of their personal needs. A team was recently able to fund solar panels to provide hot showers for them, which will help many to not get pneumonia in the winter. Slums Outreach – We recently were able to have a “Happy Birthday Jesus” party in the beginning of December to celebrate the birth of Christ and share why He came! Over 250+ kids were able to hear the gospel, play games, sing songs to the Lord and were later gifted a brand new backpack filled with school supplies! 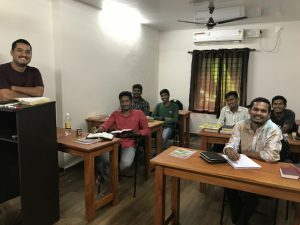 Calvary Chapel Pastors Training Center & School of Ministry – We had our first set of graduates, Majhya and Raju, who have completed their two-year program of studying the Bible verse-by-verse! We are very thankful to have gotten to know them and their families and are excited to see what the Lord has in store for their lives. 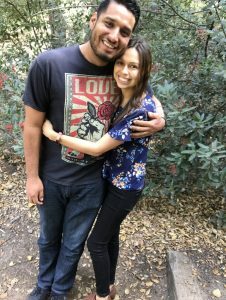 Still Honeymooning – This January 19, 2019 we will be celebrating 5 years of marriage! 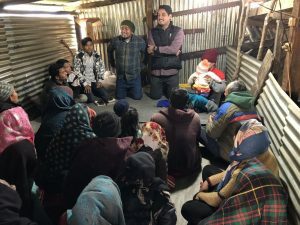 Church Planting – Two New Calvary Chapel Church Plants this year in Nepal. Calvary Chapel Naku and Calvary Chapel Japla. Both are doing so well and growing in Gods Word. 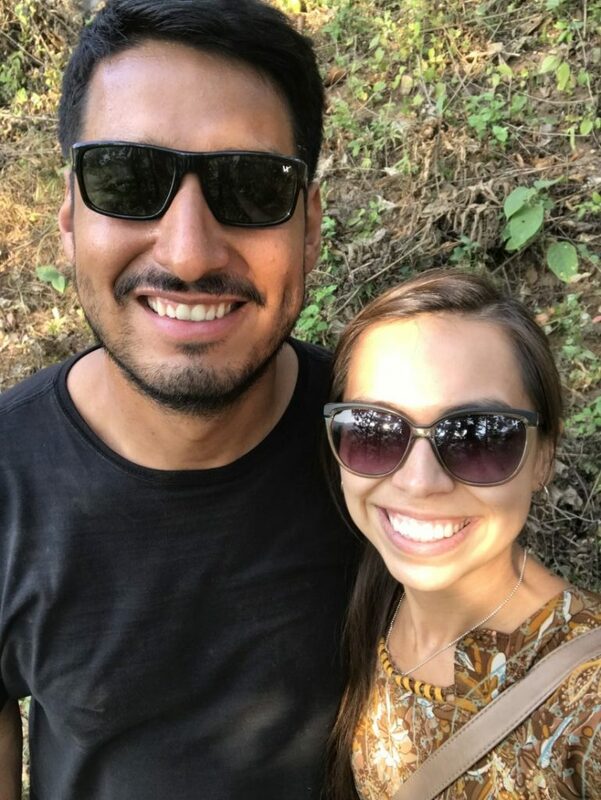 Jehovah Jireh – The financial support has allowed us to be able to continue to invest in lives through discipleship, we are very thankful to have been able to serve in Asia for almost 5 years. Family Team – These past few years, we have been blessed to be a part of training up nationals in the Word of God. Some of them are now serving alongside us, who have shown that they are quality men and women of God and dwell with us in unity. They are great friends who have become family to us. Protection — Amidst the growing persecution and heat from the government, we have been able to keep going and sharing the love of Christ. People are learning about Jesus, giving their lives to Him and getting radically saved! Travel – We have met teams of people from around the country who have come to Asia, and we all share the common bond of Jesus in our life. You have partnered with us through prayer and/or financially and we are grateful to have been given the opportunity to travel to visit with you and your churches to share about the work of God that you are a part of. We pray that we could encourage you as you have all encouraged us. Thank you for partnering with us in the work of the Lord this past year! We are very grateful for your prayers and friendship and are excited to see what God has for 2019! We pray that you would always abound in the work of the Lord, knowing that your labor is not in vain in the Lord. up and discipling future pastor’s wives and women’s ministry leaders! 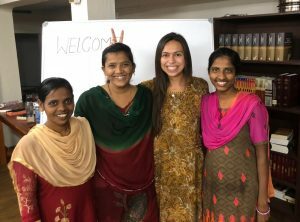 God has brought a sweet group of girls to CCBC South Asia who each have radical testimonies and are sold out for Jesus. Jena has been enjoying her fellowship with them and teaching them English four times a week. They are all first semester students and are excited to learn the Bible in a class setting. Through serving and practicing English together, the girls have all formed a special bond with one another. It is true, Christ’s love for one another breaks down all barriers, even the language barrier. stepped out in faith and answered the call on his life to start a Bible study that soon turned into a Calvary Chapel in his home state. It was amazing to see him take classes at CCBC South Asia during his week visit. He was able to share with the students his personal testimony of living out the call of God on his life and being able to start a church. We made more memories together and he shared how it always feels like coming home to see family every time we are able to spend time together. Due to the heavy rains this past monsoon season, there has been very much landslides and floods that have destroyed many homes and land in the southern part of our state. 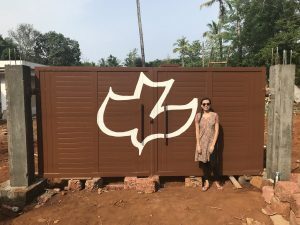 A team of students and staff were able to travel to a coastal area that was recently affected and minister in a community of farmers & daily-wage workers who lost all of their food. This was their time to shine their light that Christ has given us to share with the world. They were able to put together care packages and distribute to each family, which provided a time to love the people and pray for those who were hurting. The students showed great boldness for Jesus and shared the gospel. It was an amazing time to preach and also train the students how to prepare and go on an outreach. On our way back traveling to Nepal for the second half of the semester and graduation, we were able to make a quick stop in North Asia. We decided to visit with some of the young Calvary Church planters along the way and reunite with old friends we have been praying for! This is an area in tremendous need for the gospel and it remains majorly unreached. Each of these young pastors have all experienced great power of the Holy Spirit to step out in faith and start a new work in their villages and neighboring villages. Some of them are pastoring two or more churches each, traveling from village to village and discipling young men and women to help with the work of ministry. 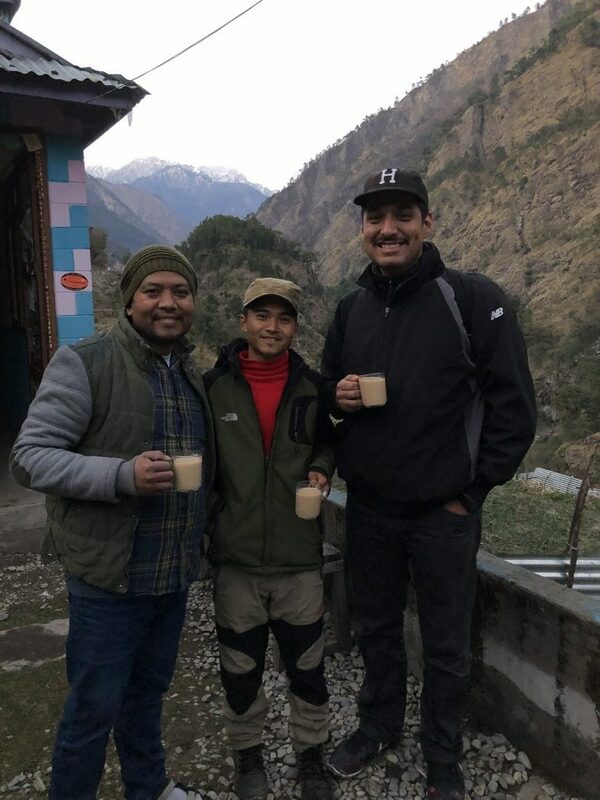 It’s encouraging to see these men step out in faith regardless of persecution and how they have each encouraged each other to continue to stand firm for Christ and be faithful to the ministry. – That God would provide financially for us and for the ministry in South Asia. – We have three visiting pastors from the States that will come and spend time with the students this coming week, please pray for a fruitful and blessed time. 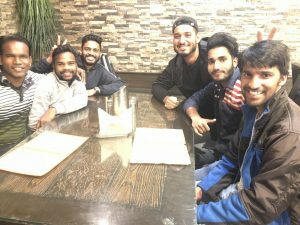 – We are in Nepal until the end of the semester and are excited to be back with our Nepali family! 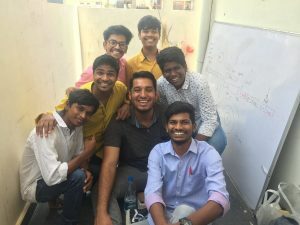 – The team we were with in South Asia has been amazing to serve with, and they are continuing with the Bible College semester. – We will be in the States on December 8th to spend Christmas with our family! We have been so blessed to be a part of this work that God has begun here in South Asia. We are humbled by the fact that the Lord brought all of us from not just different parts of Asia, but also from different parts of the world to be serving here altogether. There has been a unity that is only found in Christ that has knit students and staff close together as a family. This group of young men is eager to learn and have been studying very hard. It has been a month of classes from 8am to 3:30pm and the students have been so hungry for God’s Word that they’ve been asking Aaron to teach them more during their free time before and after their dinner. They are each learning the balance of studying, doing homework, and working around the campus grounds. English Classes have been encouraging to see the students improve each week. With practicing how to read aloud and learning grammar, they are becoming more and more confident to speak English. Everyone has been working together to make the compound more of a home. Plants have been trimmed, and a good portion of land has been tilled for the start of a vegetable garden! 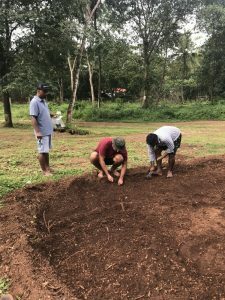 Many of the students are from families that plant and harvest crops, so they became the teachers and we became the students when they showed us how to properly plant and water seeds. While the students have been having fun in the classroom, they have also been having fun outside of the classroom. 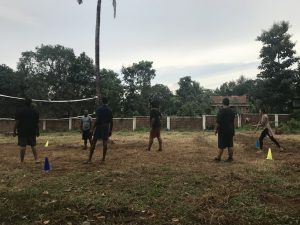 When working out in the field, a volleyball court was made and the students have been able to play during their free time. We all could get caught up in the day-to-day list of things that you want to complete, but there also needs to be a time for fellowship and a little friendly volleyball competition. We recently celebrated Jena’s 26th birthday and we rejoiced in the Lord for another great year! The day began with opening gifts and a delicious pancake breakfast! In the evening, there was a surprise gift from the students where they sang “Happy Birthday” and brought Jena a cake. We all praised God for an awesome family in Christ that He has brought together and gave thanks for another memorable birthday. – We’ve had new students join the Bible College! 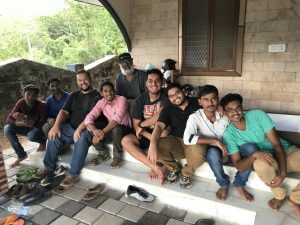 – One of the graduates who started a Calvary Chapel in South Asia has sent his assistant leader to be trained here for further church planting possibilities. 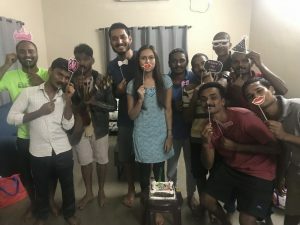 – Jena felt very loved on her 26th birthday! So much of our life and the ministry we are a part of are spent very far away from you, yet each summer we are thankful to be able to return to the States and spend time with most of you. 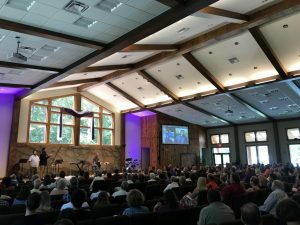 This past summer, the Lord allowed us to visit Northern California and the East Coast to have a very sweet, connected time of fellowship, making new friends and growing deeper in our friendships with church families who have been co-laboring with us in all parts of the world. We have been very thankful to be given such a great opportunity to partner with and encourage you how God has been mightily glorified in bringing the good news to people who have never heard, and teaching God’s word to students who are hungry to learn and grow. You have made a deep impression upon us with your hospitality, generosity and sacrifice. We are encouraged by you and wanted to personally thank you for loving and praying for us. Though we are a world away, we feel closer to you than ever. 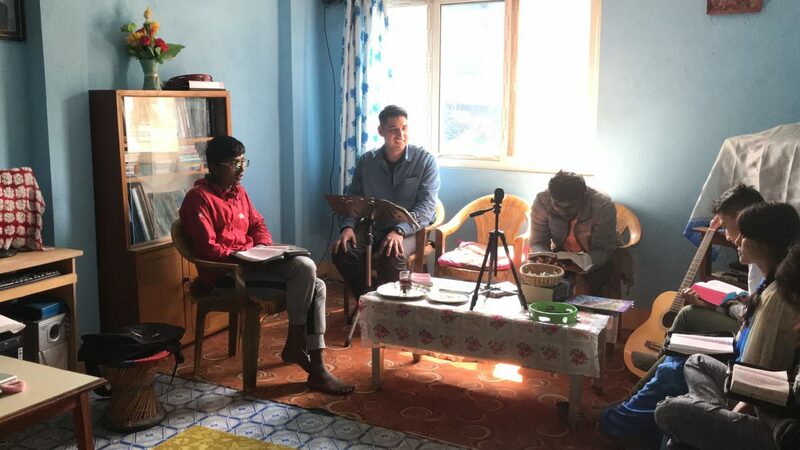 We recently were able to make a quick visit to Nepal and fellowship with the pastors and leaders involved with the new Pastor’s Training Center. As the first official semester of the school was about to begin, we held a small, intimate day-conference to encourage and seek the Lord together as a team before all of the students arrived. Aaron taught from Acts 20, exhorting everyone from Paul’s heart of being a shepherd and we had a time of prayer where the men prayed together and Jena prayed with the pastor’s wives. It was a very uplifting time and the team grew closer as we opened up with one another. For security reasons, please do NOT post this version of our update online or share on social media without our permission. We want to avoid any issues with the government and need to be vague in our mention of certain details online. Thank you so much for praying over our travels and our time here serving in South Asia. We are very excited to be a part of this team helping with the new CCBC. It has been great to see the progress of the construction on the land, as it used to be covered with overgrown plants but now it has walls, buildings, dormitories, student kitchen, library, offices and classrooms! 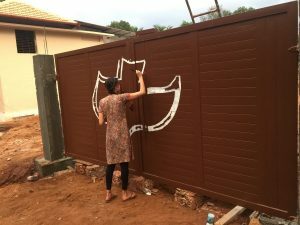 Jena was also able to bring out her paintbrushes and add the Calvary dove to the front gates. It is our heart that this ministry would always exalt God’s Word and be empowered by the Holy Spirit. Please continue to pray for the completing of construction, as there is still more that needs to be done. For this first semester, the students and team have been working construction jobs on the campus during the morning and evening. In the daytime, Aaron has been teaching Bible classes through a translator. There has been a great bond serving with the students and studying God’s Word together. We’ve gotten to know their personal testimonies and how they’ve overcome serious persecution but have continued to stand firm in their faith. Many of the students have traveled up to a four-days train ride to come and study the Word. They’re so eager to learn and it has been an amazing time of great encouragement for these courageous men of God. A few years ago, our dear friend Pastor J.E studied at the Bible College we served at in Nepal. 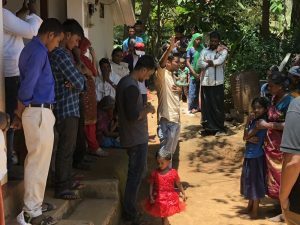 He went back to his home state in South Asia to start a Bible study that has turned into a beautiful Calvary Chapel fellowship. Recently, we went and visited Pastor J.E to celebrate 3 years of their church plant. Pastor J.E had been led to a community of railway workers and has been given much favor to have a place among them to teach and disciple. During our visit, we were so blessed by their beautiful worship, filled with much joy for the Lord. Please pray for them as they are growing in their knowledge of God’s Word and that they would be faithful witnesses. Seeing Pastor J.E be used so mightily for the Lord and being able to watch him grow while he was studying God’s Word at Bible College, showed us more than ever that by simply teaching through His Word will change the world. Our intent in coming to visit this campus in South Asia was to discover in what ways we would have opportunities here to serve. We have learned so much during our time and are excited to Lord willing return for the Fall semester. We are going back to the States on May 10th to visit and update the church on the new work in South Asia. 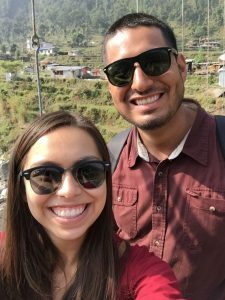 About two years ago, we started to pray for the timing of God of when we were supposed to go to South Asia to serve at the Calvary Chapel Bible College. We not only prayed, but we got our visas as well. Each year we waited as Gods timing wouldn’t allow for us to go, and now on April 12 we will go to our long awaited South Asia! It seems to be just an amazing opportunity to bring the word of God to this Asian giant. 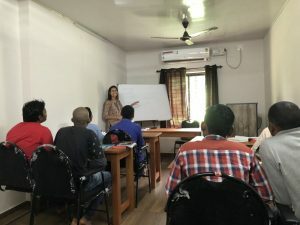 Our heart is to work alongside the team of Asian nationals and bring the word of God in hopes that CCBC South Asia will become a central training center to equip the future pioneering pastors and teachers to reach all of Asia. Please pray that the Lord would bless and strengthen the team currently serving there as they have been working very hard. We are grateful for the opportunity we’ve had to help launch and establish CCBC Nepal. 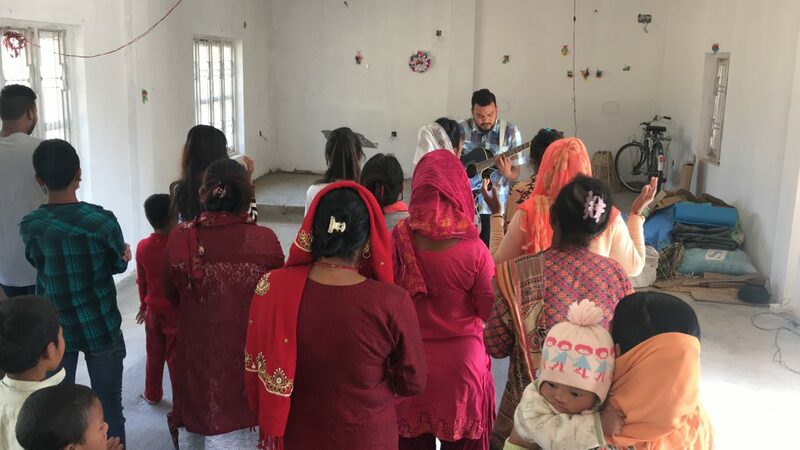 Recently, the Lord has moved us on and is now directing us to invest our time focusing on the existing Calvary church plants, pastoral training, and coming alongside our ministry workers in their own villages in Nepal. The Lord has been sending out his people to plant new churches, and He has allowed us to have very close relationships with them, so our heart is to invest our time in these new works being a source of encouragement for the pastors and their churches. 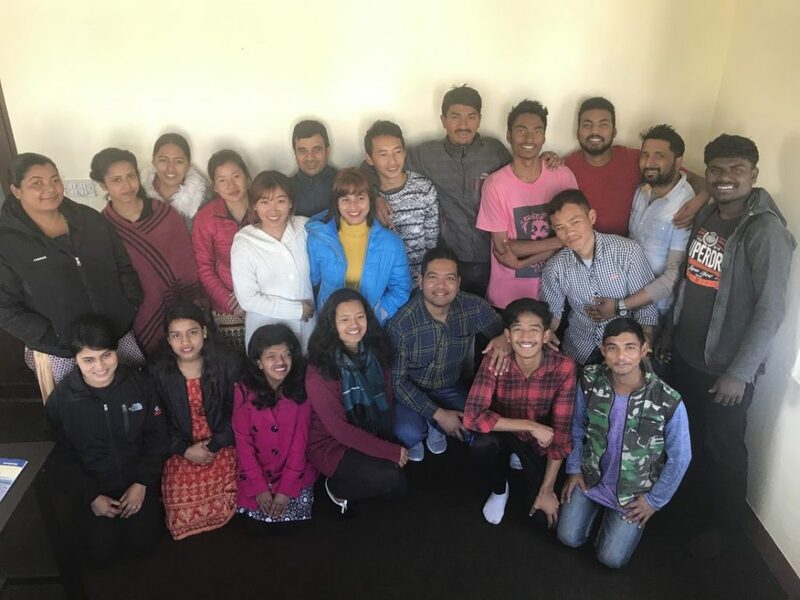 It is really exciting to see the fruit of what God’s Word has done in Nepal to make these special men and women equipped for every good work. Thank you for your love, it means very much that you pray for us. We want to inform you in the change in our administrative oversight from CC WestGrove to Saving Grace World Missions. We are still missionaries sent out of CCWG but we are coming under SGWM for their administrative support. 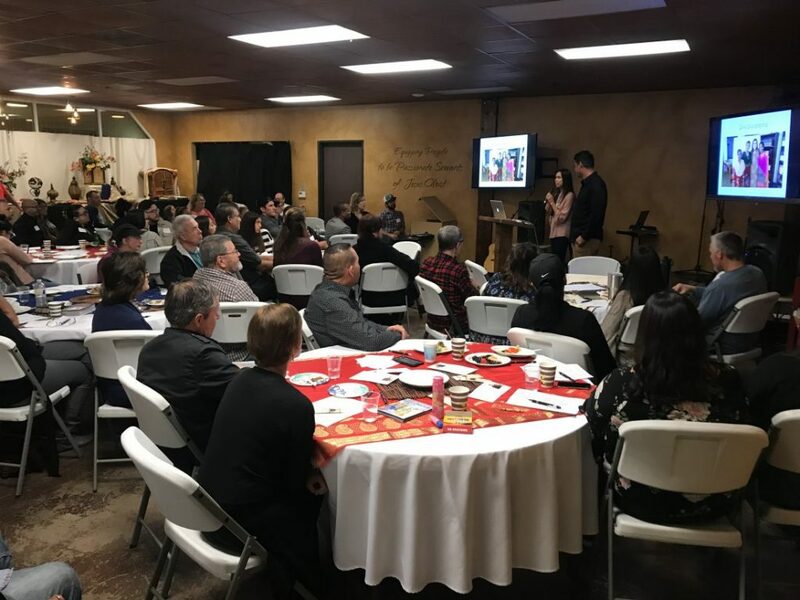 SGWM is a Calvary Chapel based missions organization that provides administrative oversight for missionaries in over 25 countries, they are a missions organization with the focus to help us and CCWG with tools to be successful in answering the great commission.